Uncategorized – Now Beer This! You don’t have to be a Certified Cicerone to know that beer and food pairing can be a wonderful, multi-sensory experience. Beer dinners, with multiple courses each paired with a brew, are becoming more and more common. Pairing with food both enhances and brings out new flavors in a beer. Duvig Brewing Company of Branford, CT will be hosting monthly beer dinners the first Thursday of each month. The next one will take place on Thursday, December 8 at 6:30 and will feature a menu from La Cucina of North Branford. My second day in California, land of the low growing plants and palm trees. Seriously, out of all the things that stand out to me as an east-coaster, it’s the plant life that sticks out the most. Cactus and thick leaved plants grow as weeds, and they strike me as beautiful if for no other reason than they are unfamiliar to me. However, the more important plant I should speak about now is humulus lupulus. Or more specifically, hops and barley. 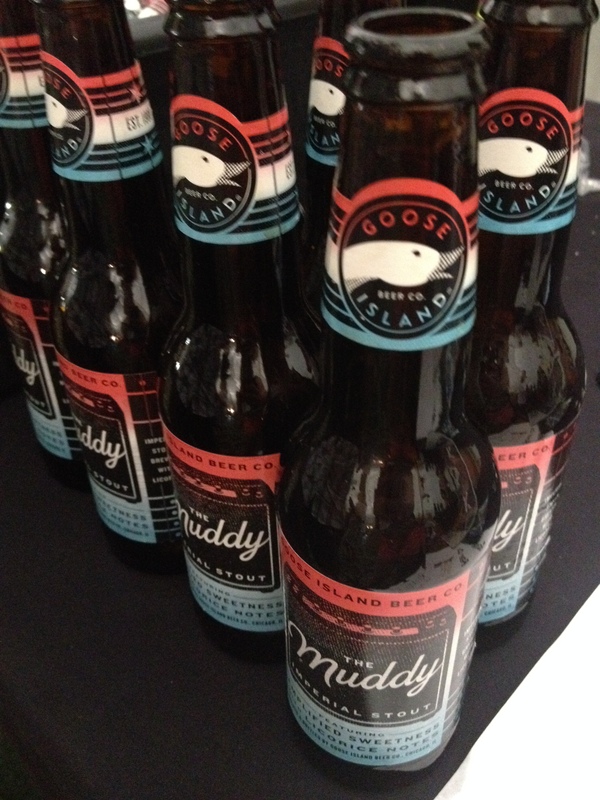 I checked into the Beer Bloggers Conference, and quickly navigated an array of different beers in front of me. Green Flash has fairly prominent distribution in Connecticut, and were offering the Road Warrior rye IPA as well as the Hop Odyssey white IPA. I went for the latter as my first beer of the conference. Nice and citrusy with a strong aroma of Amarillo and Simcoe hops, the white IPA went really great with the lunch offering of roasted pepper and steak tacos. I should mention now that tacos seem to be coming into play a lot on this trip. I actually ate them for every single meal on this day, and feel completely fine about that. My next beer was from the Belching Beaver Brewery, also in San Diego. I went for the peanut butter milk stout, which I was skeptical about initially. However, I was quickly proven that this beer was delicious after a single sip. The brewery representatives there were not willing to part with the secrets of how they perfected the peanut butter flavor, no matter how I pestered them. It truly is a dessert beer, and it tasted delicious with the churros I accompanied it with. After lunch and opening greeting, it was time for the trade show, aka Beer Swag Central. My free coozie count is currently at 5, and I am hoping to continue to grow it as the weekend goes on. It was a great opportunity to hear from a few other brewery representatives. Standouts for me included Warfeiner’s Dunkel and Ballast Point’s Indra Kunindra, which is a stout brewed with curry, coconut, and other Indian deliciousness. It also has an octopus on the label. Julia Herz, of craftbeer.com, opened up the conference, encouraging a rally call amongst attendees that “what we do should make beer better”. She also discussed the most common questions she gets asked in media forums. I was not surprised, but still a little disappointed, to learn that “women in craft beer” is something people regularly ask about. As a woman who writes about and also brews beer…well, that’s a soapbox I’ll get on another time. Herz’s speech was definitely an encouraging way to kick off the conference, though. As a blogger, I felt somewhat empowered to think that the words I write and publish are a face of the craft beer world. Two panels took place after Herz’ speech; one on San Diego Craft Brewers, and another on beer blogging and branding with other companies. Since I know pretty much nothing about San Diego, that panel was very interesting to me. I was shocked that there was no beer being brewed in San Diego County between 1953 and 1987. Also that Stone actually had to struggle initially, self-distributing their beer and working hard to eventually become the first brewery in San Diego to have “brewed and bottled in San Diego County” printed on a bottle. The idea of breweries being com-patriots, as opposed to being competitors, really resonated with me as well. I thought that idea was fitting for beer bloggers, especially so after the next panel, where the Red Door marketing company discussed the power of bloggers working with brands. To be honest, I love meeting and learning about the different bloggers here. Much like new breweries popping up, each one has it’s own thing that makes it unique and worth reading. 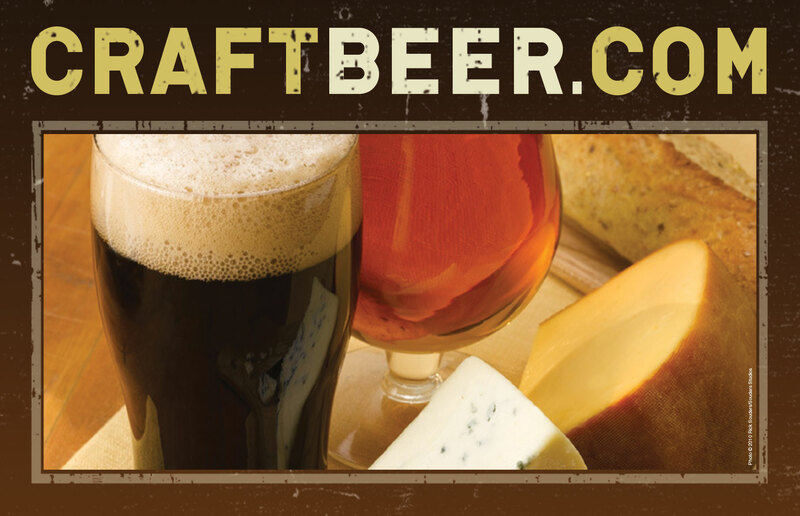 I’ll be continuing to tweet, take pictures, and update this site throughout the weekend, so keep checking back and follow @nowbeerthis on all of those social media sites. 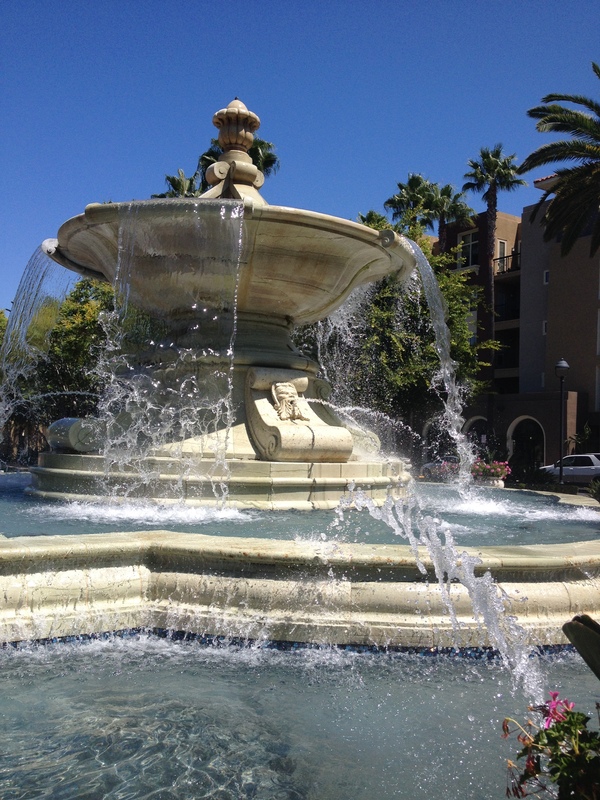 Tomorrow I will be covering my brew trips to Karl Strauss and Stone World Gardens, so stay tuned! Stanley Cup playoff season is upon us. Perfect time to check out a Zambonis show! The Zambonis are one of the best hockey-related things to come out of Connecticut besides the Hartford Whalers. They were formed in my hometown of Bridgeport, CT in 1991, and if you’re a hockey fan or a fan of the CT music scene, you may have caught one of their shows. They have a pretty extensive resume- between writing songs for some of my favorite NHL teams, traveling around the world, numerous performances at games and releasing records that have received accolades from the likes of CMJ, The New York Times, Sports Illustrated and more. The Zambonis will be playing a free show at BAR in New Haven on Wednesday, May 21. I caught up with defenseman/vocalist/guitarist Dave Schneider who gave me some of the best interview answers I could have asked for. What team(s) are you partial to, or as a hockey-themed band, do you root for all of them equally? We have 5 members so it is all different. Mato and I (Dave) loved The Hartford Whalers. Cary is a HUGE BRUINS fan. Shawn is a Devils guy and Jon has not watched any hockey since Seinfeld went off the air. That guy is all music. Have you ever performed while riding on a Zamboni, or possibly even the Olympia-brand ice resurfacer? Yes, before I answer I just want to make it clear that all of these answers are absolutely true. WE PERFORMED the song “I Wanna Drive The Zamboni” from the top of The Zamboni as it resurfaced the ice at the Staple Center in Los Angeles. This was in front 22,000 people during the intermission of the 2002 NHL ALL STAR GAME. Regarding the latter half of this question, OLYMPIA? Do you drink Dr Pepper or Mr Pibb? Mountain Dew or Mello Yello? Do you eat BAR Pizza, Pepe’s, Sally’s or Papa John’s? We only deal with the best, the original and the creators of Motorized ice resurfacing Machines. Have you ever had issues with fans throwing octopus or other sea creatures on the stage during your shows ala the Red Wings? Do you think the Hartford Whalers should make a comeback as an NHL team? In my heart, YES, from a business stand point, I just don’t see them making it in Hartford. That hurts deeply to say that but, that is my gut feeling. You’ve composed songs for the Bruins and the Avalanche- do you have songs written about any other teams? Back in the day, we wanted to write a song for every team. We wrote quite a few but, we just found other angles of writing songs about hockey/life/hockey/love/hockey than to just write about a team. You guys are playing the 20th anniversary celebration of NPR’s only national sports show “Only A Game’. How did you guys get that gig- have you been on OAG or NPR in the past? Many years ago, I was working and the phone rang, “hi, is Dave from The Zambonis there? This is Gary Waleik from NPR in Boston, we would like to do a piece on The Zambonis”. I said, huh, you know one of our favorite bands ever is a band called Big Dipper from Boston and they had a member/guitarist named Gary Waleik, he said, “that’s me”. We proceeded to tell each other how much we loved what the other did, it was a musical love-fest. Gary is the producer their til this day. They have done a few feature pieces on us and have also used our music tons of time. We really love the show. It also helps us perpetuate the jock stereotype of what a “hockey band” should or could be. We try not to be stoopit. We also love music as much as anyone in this world and live to record and create. If you could drink a beer out of the Stanley Cup, would you? If so, what beer would it be? Catch the Zambonis Wednesday, May 21 in the back room at BAR on 254 Crown Street. As always, the show is free and the pizza and beer are delicious! I was so excited when the first two tracks from Neko Case’s latest record were available on Spotify, and even more excited when I listened to them and they were AWESOME. This is a wonderful record. The lyrics resonate well with me, and most likely anyone else who has ever loved and lost (so you know, pretty much everyone). “Night Still Comes”, which you can check out the lyric video for below, is my favorite track on the record. The refrain of “You never held it at the right angle” is just one example of the quotable lyric mantras found throughout the album. “Man” picks up the pace a bit. There are a lot of little nuances on this song that I find to be reminiscent of math rock, such as the complex drumming and the clean, quick guitar riffs. The lyrics reiterate the fact that Neko Case is, in fact, a total badass “you didn’t know what a man was until I showed you”. I think that’s why I think Case is so great, because she blends such strong lyrics with such beautiful musical orchestration. In so many pieces of music, the strength lies more with either the music or the lyrics, but Case manages to maintain a balance of both on this record. The vocals are very cool on “Nearly Midnight, Honolulu”, oscillating between a single voice and chorus. The simplicity makes this song truly beautiful. “Where Did I Leave That Fire” is similarly beautiful, with soundscapes at the beginning that sound like field recordings in the woods. The soft brushes on the drums give the imagery of feet on the forest floor. Basically, The Worse Things Get, The Harder I Fight, The Harder I Fight, The More I Love You makes me want to write better songs. It’s a quietly inspirational, while being easy to listen to. This beer is delicious, and one of my favorite varieties, the oatmeal stout. Delicious flavors of coffee and dark chocolate, with some earthy notes in the aroma. Slightly hoppy, to balance out the sweet flavors. Pours a deep espresso color, with a cream-colored head. Really awesome with food, looking forward to drinking it with some beer-brats and smoky cheeses. 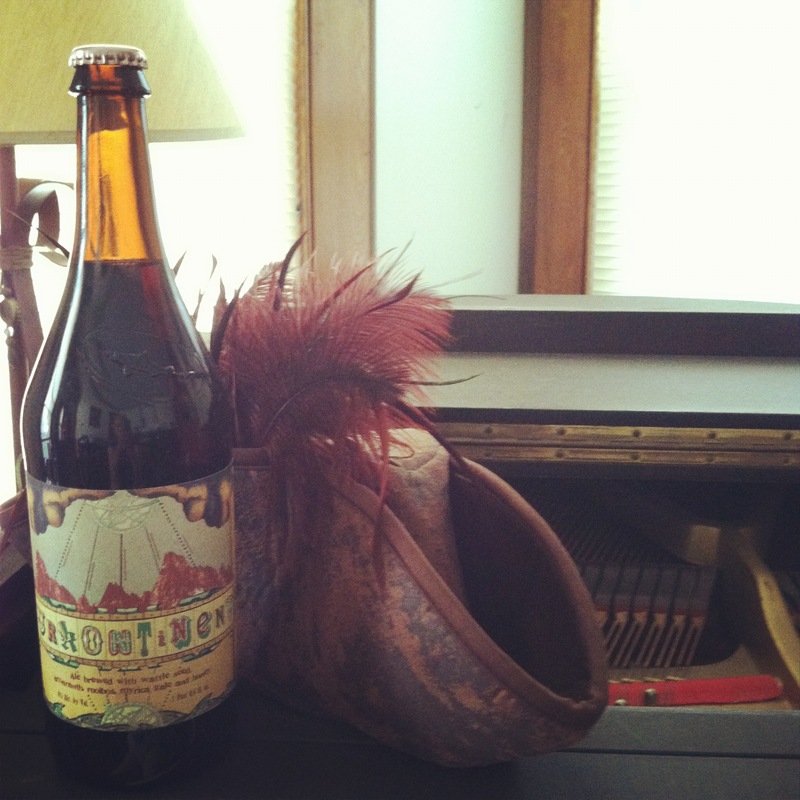 THE PAIRING: I chose a beer from the state Neko Case resides in, Vermont. She pretty much lives in my dream house, which you can take a tour of here. Neko’s latest is an album you can sit with. Even though it’s only August, the already falling leaves and pumpkin beers lining the shelves tell us that autumn is on its way. We can get back to drinking frothy oatmeal stouts and curling up with a good record that has great lyrics that you can reflect upon. Preferably while sitting in a room like this. My good friend Claire is a fellow blogger whose site is really great. Called Eat Well, Party Hard, the blog gives great tips from someone employed in the music industry on how to live the fast-paced rock star lifestyle while still eating healthy. Since partying hard obviously goes hand in hand with beer consumption, I wanted to collaborate with her. Check out the post I wrote here and while you’re at it, check out the rest of Claire’s site for some awesome recipes and other great food-and-partying-related musings. She recently moved to China, and I asked her to check out the beer scene there, since apparently, it’s better than Portland. She will be contributing here sometime in the near future about that, so stay tuned! I don’t often get to travel, and I have not been to another country aside from Canada until now. However, this past month I traveled to Poland to visit family. I made it a point to sample as many beers as possible while there and figure out which ones are best and what the beer scene is like there. Since it’s so close, I also visited Slovakia, in the old town section of Kosice where my father’s father’s family is from. I have to admit, beer is not Poland’s strong suit. Obviously, vodka is the drink of choice there. I definitely consumed my share of vodka as well, and surprisingly did not hate it. My favorite was Zubrowka, the bison grass vodka. Not just because I liked the buffalo on the label. It was smooth and easy to drink, which I generally consumed in a shot or mixed with apple juice and a blade of grass. Now for the beer. The two most-common beers seemed to be Tyskie and Zwyiec. I have had Zwyiec here in the states. After having it in its’ native land as well as America, I have come to the conclusion that in the States, it is way too expensive for a simple lager. However, that said, Zwyiec is not a bad beer when in Poland and it is found pretty much anywhere. Tyskie is common as well; I’m not sure which one I liked better. For beers at a bar, I liked the Ksiazce Cimene best. It was a dark ale that tasted similar to a bock- malty, somewhat sweet, and easy to drink. I had this in the old town section of Krakow, which was my favorite place that we visited. The nightlife is bustling and there are plenty of places to eat and drink. I liked that there were so many places to go outside, so you could enjoy a drink while watching everything going on in the main square. I did get a chance to try some Polish craft beer, though. I went to Browar Wojkowka, which is a brewpub not far from the city of Krosno. I was curious about craft brews from Poland, as I noticed their water tasted quite different from much of the water in America. However, there were not many noticeable differences, at least not negative ones. I sampled their 4 brews: a witbier, a pilsner, a milk stout, and a pale ale. I liked the milk stout best. I thought it was so good that I needed to bring a bottle or two home! More often, I spent time drinking beer at a house rather than a bar, and I drank what I could find at the local store. I found a bottled craft beer from a brewery called Rebel, which was a honey ale and a really interesting beer. I have not had a honey beer with this much flavor. Not sure if I liked it or not because of such a strong honey flavor. I have had a hard time finding more information about the brewery. As far as my research has shown, they are a fairly new brewery and seem to be a subsidiary of Browar Cornelius. I found a review of one of their other beers, a bohemian pilsner, here. My favorite canned beer was called Lech, which had a surprising packaging to me. Although it was more of a lager than an ale, and definitely not a bock, there were rams on the label. In Slovakia, I had to try a pilsner since it was so close to the birthplace of the classic Czech style pilsner. I had a Staropramen unfiltered that was especially delicious, paired with a dinner of sheep’s cheese gnocchi. It really was a great trip, and I would love to explore more about the beers, especially the smaller craft brewing companies. Although they haven’t erupted like they have here in the US, I think that in a few years or less there will be many more smaller breweries throughout eastern Europe. Now for something a little different- I haven’t reviewed any film scores yet. 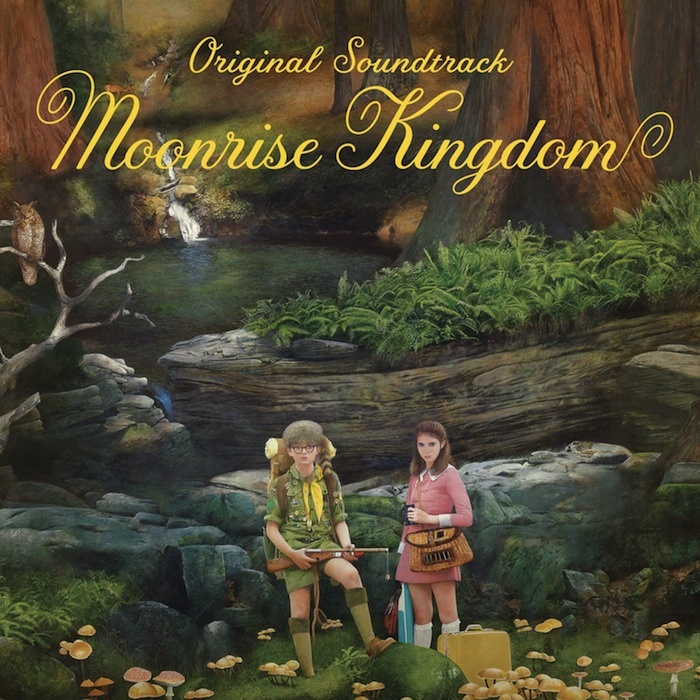 I recently acquired the score for Wes Anderson’s Moonrise Kingdom on 10-inch vinyl and I thought it was worth a review. Let it be clear that I love Wes Anderson movies. The only one I surprisingly haven’t seen is Rushmore. Everything else I’ve seen at least once and enjoyed. Moonrise Kingdom, which recently came out on DVD, was no different. One thing I really like best about Anderson’s films, other than Bill Murray, is the music. It makes these films stand out so much more, and makes them incredibly memorable. He frequently employs the help of composer Alexandre Desplat to musically accompany and portray what is happening on camera. Mark Mothersbaugh is often involved, who I think has a brilliant and colorful resume, with everything from his work with Devo to his projects for children with Nickelodeon and Yo Gabba Gabba! and all the other films and albums in between. The back of this record has a little note from Wes Anderson that starts off, “Sometimes the music comes first”. As a music major in college, I spent a good part of 4 years studying music theory, analysis, and history. While much of it I probably can’t immediately remember now, some of the composers that I loved best remain in my mind. One of them was twentieth-century British composer Benjamin Britten. I especially thought it was interesting that he wrote music for children and amateur musicians, which is shown in Moonrise Kingdom. The main characters listen to Britten’s composition The Young Person’s Guide To The Orchestra on their children’s record player often throughout the length of the film. In Anderson’s note, he explains that he was inspired by Britten’s Noah’s ark-themed opera Noye’s Fludde when writing Moonrise Kingdom. The score itself is called “The Heroic Weather-Conditions of the Universe”, which is follows a theme in 7 parts. Each part employs different instruments to reflect the weather of the landscape being explored. It follows the two lovers on their escape by foot. It begins with Part 1, “A Veiled Mist” lead by soft wind instruments, harps, and light percussion, and slowly builds with each part, adding in guitars, horns, and a larger string section. The sequencing of the record itself is broken up with the rhythms of Mark Mothersbaugh and Peter Jarvis’ drum corps “Camp Ivanhoe Cadence Medley”, which ends the first side. Side two begins with Parts 4-6 as one track (“Thunder, Lightning, and Rain”) and adds in a male chorus and more thunderous percussion. The last track takes Desplat’s composition and puts a Benjamin Britten-spin on it, with narration leading each instrument as it comes into the composition, similar to the Young Person’s Guide to the Orchestra. I feel like this last track really brings the record together, and really shows where Anderson’s inspiration came from. The oldest brewing company in America. Yuengling’s flagship lager is light, crisp, and fairly inexpensive. 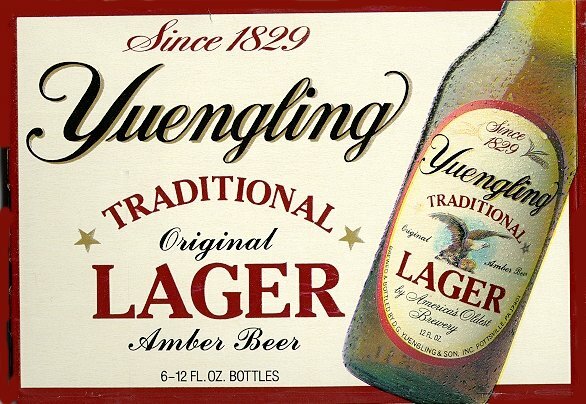 For someone growing up in Connecticut, I’ve always considered Yuengling a treat to indulge in anytime I’ve spent hanging out in New York or Philly (similar to eating at Whitecastle, but with more damage to my liver than my arteries). So for some, Yuengling may seem not seem like anything special than the beer they drink on a regular basis. But it’s popular for a reason. It’s a bit darker than other commercially produced lagers out there (technically considered a red/amber lager I guess) but still incredibly drinkable. and it’s low-ABV allows for that. It’s not a beer I’m going to be snobby about. It’s just simple and delicious, and sometimes that is all you need. THE PAIRING: I paired this record with Yuengling’s light, easy-drinking lager. I could have gone for a heavier ale with lots of different flavors to pair with all the different instruments. However, I thought this light lager paired better with the the film itself and the music that inspired it. Way back in history, people drank light lagers because they couldn’t drink anything else safely. It was downright healthier to drink beer! Lately, I have been seeing light beers are often found at sporting events because they are refreshing after a day of being active. I thought of the exploring couple in Moonrise Kingdom, and what they would drink after a long day of hiking and adventures. The movie also has a lot of coming-of-age aspects to it. Yuengling was one of the first beers I ever had, and I’m sure many other people can say that too. If you live in a state where Yuengling is sold, it’s easy to find, and it is a generally good-tasting, light beer. I’ll drink it anytime, but I especially love it after a long day of working or playing outside. 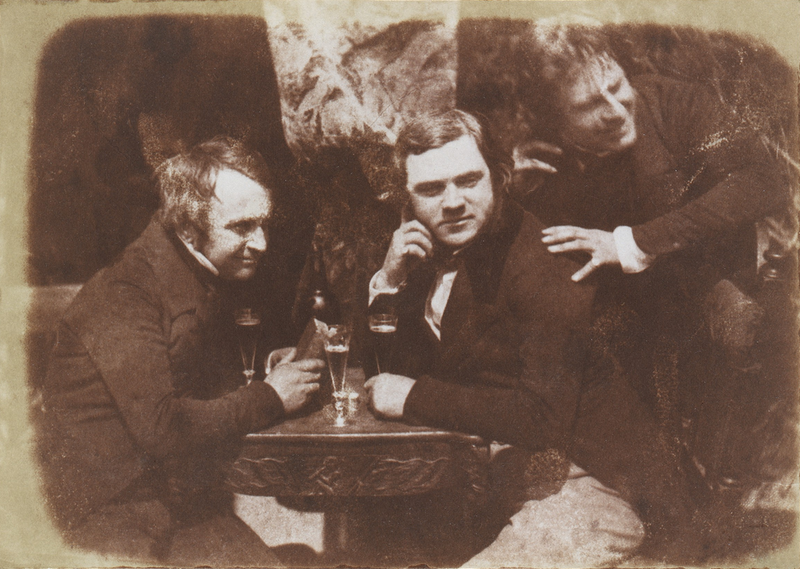 Here is the earliest known photo of men drinking beer. They are drinking an Edinburgh Ale in 1844. DISCLAIMER: So I’m a Rush fan. There are a lot of people who disagree with me, unfortunately. But I’m not going to use this post to defend my love of Geddy, Alex, and Neil. I’m just going to review their new record, Clockwork Angels. If you’re not into it, just skip ahead to the beer review this week. Anyway. Clockwork Angels is the band’s first release since 2007’s Snakes And Arrows. I’ve always appreciated that sometimes Rush has taken a few years in between albums, while still remaining prolific. This latest release is their nineteenth full-length studio album. The band has stated in interviews that Clockwork Angels is a concept record about a journey. It’s sort of a broad concept, which unifies all the songs while still allowing room for them to stand up individually. That is another cool thing about this album. While it definitely has plenty of Rush’s lengthy, signature epics such as “Clockwork Angels” and “Headlong Flight”, it has shorter radio-friendly tracks as well. And regardless of length, all the songs have an interesting hook to them that grabs you and pulls you in. First track “Caravan” may be familiar to some, as it was released in 2010 as a single. It’s a great way to kick off this record, especially following the theme of a journey. Hopping on a caravan with Rush sounds like the perfect road trip to me. “BUB2” was also released and featured in the setlists from the band’s 2010-2011 “Time Machine” tour. “Seven Cities Of Gold” is another great track. It kicks off with this awesome, funky bassline that hangs on as a hook throughout the whole song. It’s also another song that more obviously ties in to the concept of a worldly journey with lyrics like “Seven Cities of Gold/Stories that fired my imagination/Seven Cities of Gold/A splendid mirage in this desolation”. Rush lyrics are always interesting- they can range from the totally ridiculous to the anthems that everyone can relate to. Their best albums have songs with both, and Clockwork Angels can certainly be counted among those ranks. I stumbled upon Urkontinent while visiting the Dogfish Head brewery earlier this summer. They do list it as an “occasional rarity” released in limited batches, so don’t expect to find it at your local neighborhood liquor store on the regular. Urkontinent pours deep, rich and dark with a light milk-chocolatey head that fades quickly. Classified as a Belgian-style dubbel, Urkontinent takes ingredients from around the world. Wattleseed, toasted amaranth, rooibos tea, myrica gale, and honey. Each ingredient gives a different flavor. Lots of chocolate and hazelnut notes, which I would expect are from the wattleseed, as well as some floral and fruity flavors. However, this beer is not all sweetness- the finish is quite dry. There is so much going on with this beer, but all of the flavors are well balanced without anything being too overpowering. The 8% ABV gives it a little heaviness, but the depth of this beer needs that. I was finishing up some of this beer while watching the Rush documentary Beyond The Lighted Stage, which is a great film for anyone who likes Rush even a little. Dogfish Head calls this beer a “social collaboration of worldwide porportions”. What better beer to pair with a concept record about a world wide journey! The ingredients are a sampling of the continents- Australia (wattleseed), North and South America (California honey and amaranth), Africa (rooibos), and Europe (myrica gale). Are they traveling to these continents on Clockwork Angels? One can only guess, but if they needed a beer to drink on this journey, this would be a great one. Rush has always been a band that has not been afraid to experiment and go in different directions that might seem weird to some people.I find that Dogfish Head does this with a lot of their beers, and it’s especially found in Urkontinent. Their slogan is “Off Centered Beers For Off Centered People”. I’m pretty certain that most Rush fans are fairly off centered people, at least I know I am. Bonus Food Pairing! I also had this beer as part of a beer dinner. We paired it with 5 spice “Carne Asada” over Brussels sprouts, Oriental sweet potatoes, and Maple brown ale reduction. DELICIOUS. This big beer held up to the steak and all the flavors of the food worked well with the different flavors of this beer.